Interesting riverside scenery along the way to Siem Reap. In four previous visits to Cambodia, I had never done this particular boat ride before – and although I wasn’t expecting to see any particularly special birds along the way, I figured I would definitely see more from the boat than I would from the bus! 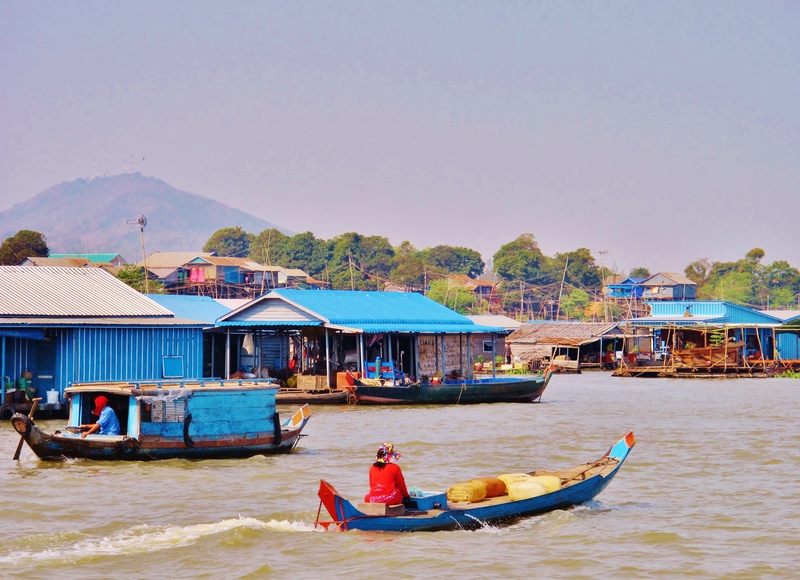 The boat follows the river upstream from Phnom Penh, mainly on quite a wide river lined with shabby human habitations for almost all of its length. Occasional narrower sections of river were generally the most productive for birds. Later in the journey, the boat crosses the vast expanse of the Tonle Sap lake (where there were no birds far from shore apart from a few terns), and at the other side of the lake there is just a short stretch of channel before the boat docks. The route doesn’t go anywhere near the Prek Toal bird sanctuary, so my chances of the likes of Greater Adjutant and Milky Stork were fairly remote – and so it proved, as I saw none of the rare specialities of more remote areas of the Tonle Sap. Highlights of the seven-hour trip were two Oriental Darters, a few Painted Storks soaring among the Asian Openbills near Siem Reap port, an unexpected Fulvous-breasted Woodpecker that flew directly over the boat, lots of Pied and White-throated Kingfishers, a handful of Brahminy and Black-shouldered Kites, Shikra, Yellow Bittern, and the occasional Caspian Tern among the thousands of Whiskered Terns. It was also good to get Red-rumped Swallow and Sand Martin, two common and widespread swallow species in Europe and Asia, finally under the belt for the year. 2015 Year Ticks: Oriental Darter, Shikra, Pied Kingfisher, Fulvous-breasted Woodpecker, Red-rumped Swallow, Sand Martin (total 237). 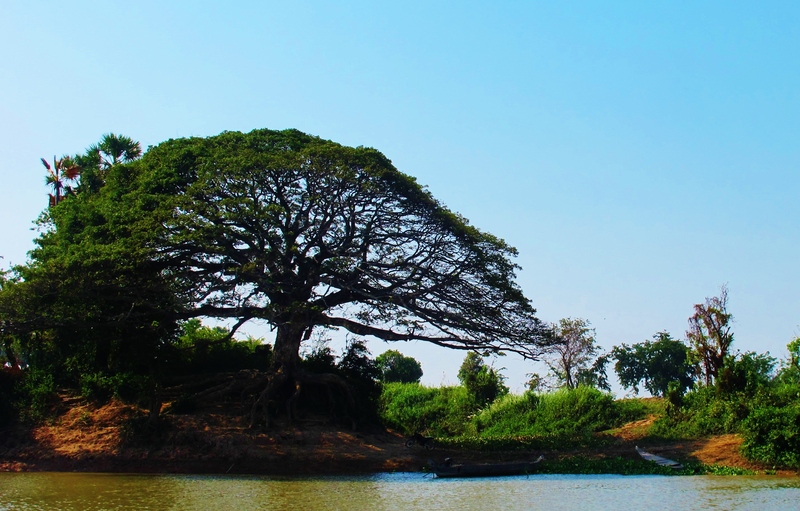 Wonderful old tree beside the river bank, en route to Siem Reap.